Oh hello new skincare … don’t you just love discovering new products that you LOVE?? 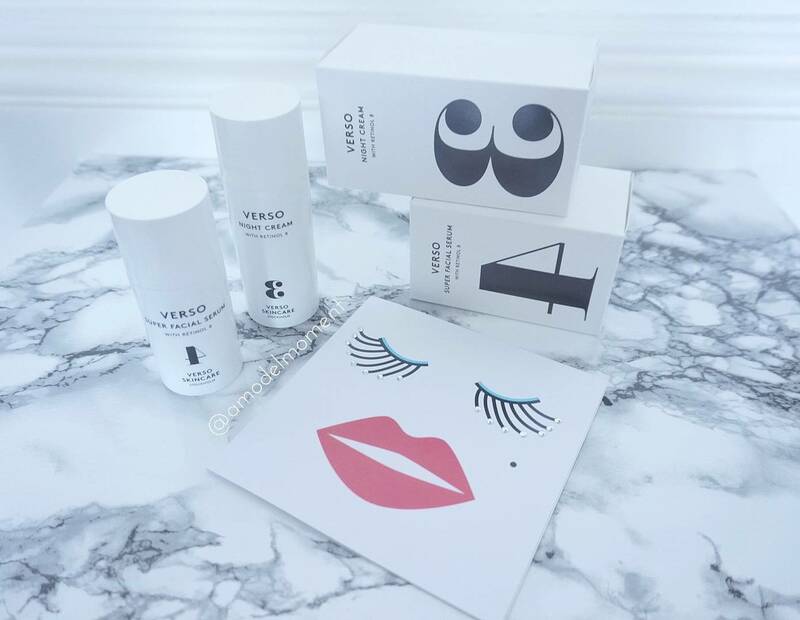 Welcome Verso Skincare, a revolutionary new anti ageing skincare line designed to turn back time on your skin. I like to think of it more as a pre-emptive strike on my skin ageing in the first place, but at the ripe old age of 28 I am definitely starting to notice changes in my skin. This is my first dive into the retinol world, and what a place to start! 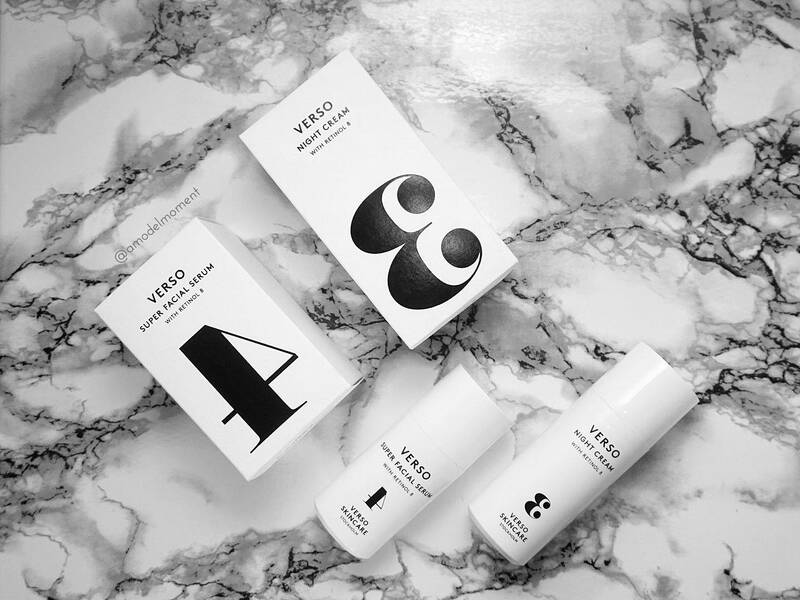 Verso have revolutionised the classic anti-ageing Retinol (Vitamin A) skincare market with their ‘Retinol 8 Complex’. Eight times more effective than standard Retinol treatments whilst eliminating the common risk of irritation. Verso’s revolutionary products work by training cells to mimic the behaviour of younger skin, with a potent concentration of vitamin A in a 5 product line up. I was sent Verso’s Super Serum and Night Cream to try and I have to say it is not often that I notice a product have an immediate impact on my skin but I absolutely could with these. At first I had very short lived redness when I applied the products, but that didn’t last longer than 10 minutes, I assume this is because I haven’t tried Retinol on my skin before. There was no actual irritation. I consistently used my trusty Aurelia Probiotic Eye Revitalising Duo as my eye treatment whilst trialling these products. Yes, there is a rather large price tag on this product, but I have to say as a woman in her late 20’s concerned about skin ageing, I feel it’s worth it! This supercharged serum, thick and creamy in texture, accelerates the anti-ageing benefits with a 0.1% concentrated dose of Verso’s patented Retinol 8 Complex (equivalent to 0.8% of normal retinol). It works to smooth the appearance of wrinkles, strengthen the skin barrier, reduce pigmentation and supply the skin with more much-needed energy and oxygen to refine and illuminate without irritating – reversing signs of ageing by stimulating the synthesis of collagen and skin-plumping hyaluronic acid. As we age our body stops producing collagen naturally causing the structure of our skin to breakdown, resulting in the dreaded WRINKLES. So you can understand why I feel a product that stimulates collagen synthesis is worth it. I have been using Verso Skincare alongside taking Pure Elixir 01 collagen supplements (see post here) in a bid to never age . . . ever. Skin soon becomes stronger, more luminous and better equipped to protect itself from the ageing effects of environmental stresses. I personally have found that the serum is enough alone so I have separated the two products and have been using the night cream at night (durh!) and the serum in the morning, if you have dry skin you could follow the serum with a moisturiser. I love Verso’s night cream, Step 3 in Verso’s simple five-step line up. It feels so soothing and strengthening, It has added oat-derived antioxidants helping your skin to cope with the daily stresses of modern life and environmental stress, so your skin is free to focus on un-doing the day’s damage while you sleep. Perfect if, like myself, you live in a city and have to battle with a daily assault from pollutants. Together with polyphenol extracts – Verso’s Night Cream works to smooth the appearance of wrinkles, strengthen the skin barrier and reduce pigmentation. After using this in the evening my skin looks more youthful the following morning, definitely more hydrated and ‘glowly’ rather than dull & tired. The packaging and bottles and very sleek and stylish but I also loved the controlled pump so you are not over using the product. I actually feel like I don’t even need a full pump of the Night Cream, so these should last a long time. I 100% noticed a change in my skin while using these products. I can visibly notice a difference in the plumpness of my skin and feel Verso has had an impact on fine lines around on my forehead. I used them separately, for maximum anti-aging benefits, layer Verso Night Cream over Super Facial Serum and wake up to radiant, beautiful skin. Also available is the Super Eye Serum (£65), Day Cream (£85), Foaming Cleanser (£32) and Dark Spot Fix (£125). YES!!! I actually got a compliment on my skin in the morning pre-shower, so that is a definite result!